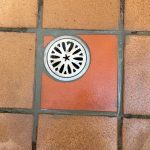 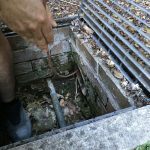 Problem: The stormwater drains were not flowing, causing the water to back up and flood the property. 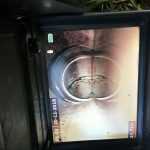 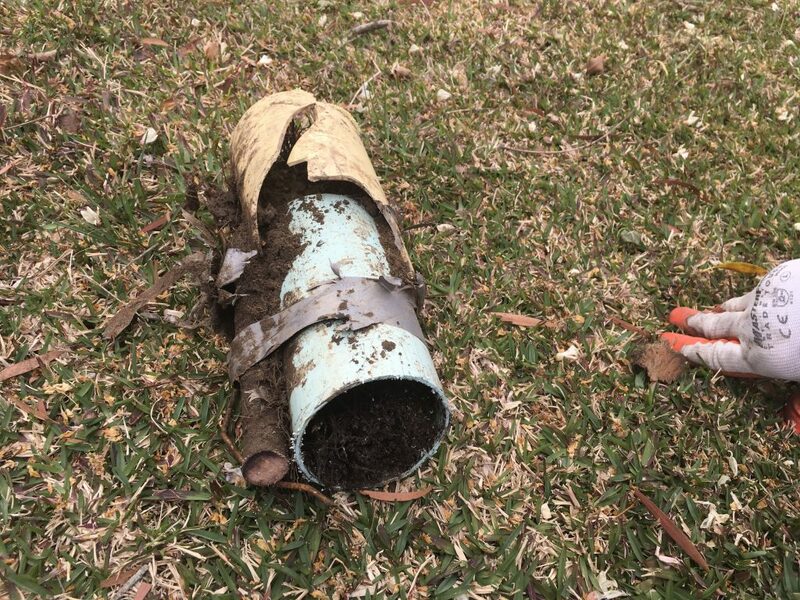 We located the entry point of the roots with our CCTV camera and locator and excavated down to the pipe to find this… a very poor attempt at plumbing where two pipes of different sizes have been duct taped together, obviously allowing this 12 meter long root to grow inside the pipe. 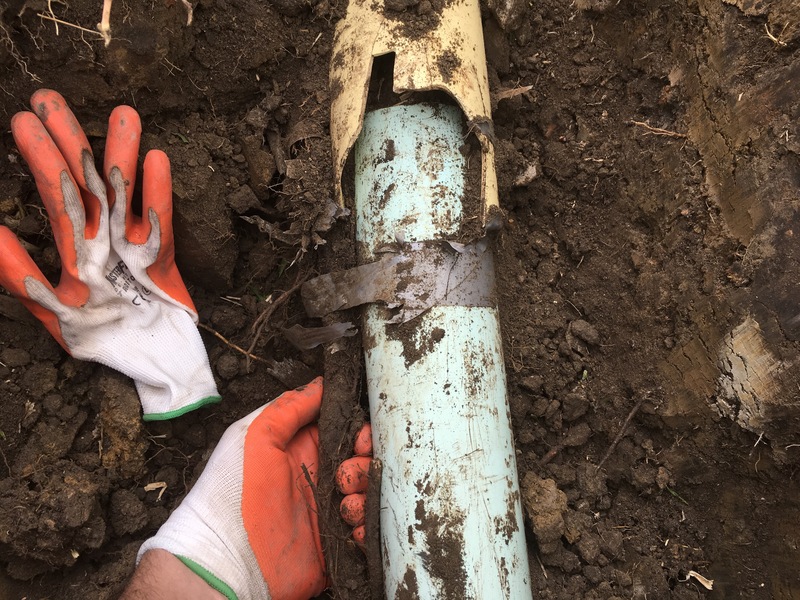 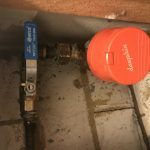 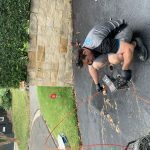 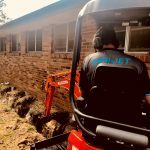 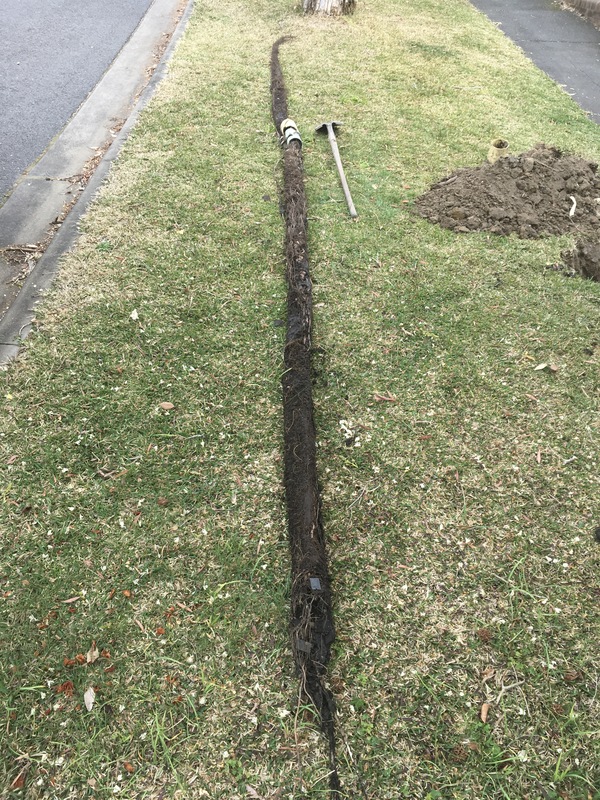 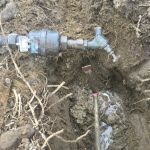 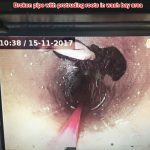 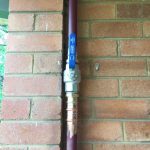 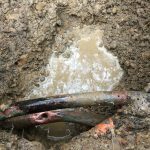 Solution: We cut out the duct taped joint in the pipe and removed the 12 meter long root by hand, jetted out the line to remove any dirt that had accumulated in the pipe and then re-joined the pipe together again with the appropriate fittings.